Welcome to Fun With Names, where I will be unpacking the names of characters, shows - just about anything with a name in anime. Today, I bring to you one of the legendary Big Three titles of Shounen Jump, the titles seen as the archetypal mainstream titles of the Shounen genre. Boasting long drawn out storylines, immense action and emotion packed into each of these stories, One Piece, Naruto and BLEACH are the logical successors to Toriyama Akira's Dragon Ball and Dragon Ball Z within the Shounen Jump magazine. Back to BLEACH though, the one anime with a random English word for a name. Or is it? Close to my heart as my top favourite anime/manga series of all time, BLEACH follows 15-year-old Kurosaki Ichigo, a high school student who has always been able to see and interact with ghosts. His ability hence allows him to spot the black kimono-clad Kuchiki Rukia, a woman claiming to be an entity known as a Shinigami - a Soul Reaper. Her job is to guide lost souls over to the other side, as well as to purge the souls of evil spirits known as Hollows. Their comical interaction ends in a perilous fashion as one such Hollow attacks Ichigo's family and wounds Rukia in the process. With no way out, desperation causes Rukia to offer some of her Shinigami powers to Ichigo so that he may have a chance in slaying the beast. From that moment on, Ichigo becomes a Shinigami himself and is thenceforth exposed to an ever-expanding universe and swathes of interesting characters from friends and enemies alike. The Shinigami process of purging hollows is something which contrasts their ominous presence. Dressed in all black, the Shinigami are the so-called good-guys of the series at first, but since they're something akin to the Grim Reaper, their existence is one which goes hand-in-hand with Death itself. The process of purifying a Hollow is such that the evil can be removed from the soul's core and the soul itself may move on to the Afterlife. A literal "bleaching" of the Hollow. This is one of the accepted reasons behind the title, but it isn't very satisfying. Over to orange-haired protagonist, Kurosaki Ichigo. For the longest time, Ichigo's bright orange hair had gotten him quite a lot of attention from other characters in the series who often note the hair's unusual hue. This has gotten him into trouble with bullies (fans will remember how he met Chad) and often gets him sly remarks from random characters in the early parts of the series. The orange hair is very much a part of Ichigo's history and his journey as this show's protagonist. The series is called "BLEACH" because other characters in the series think Ichigo's hair colour is a fashion statement - "BLEACH" because people see Ichigo and think he bleached his hair. 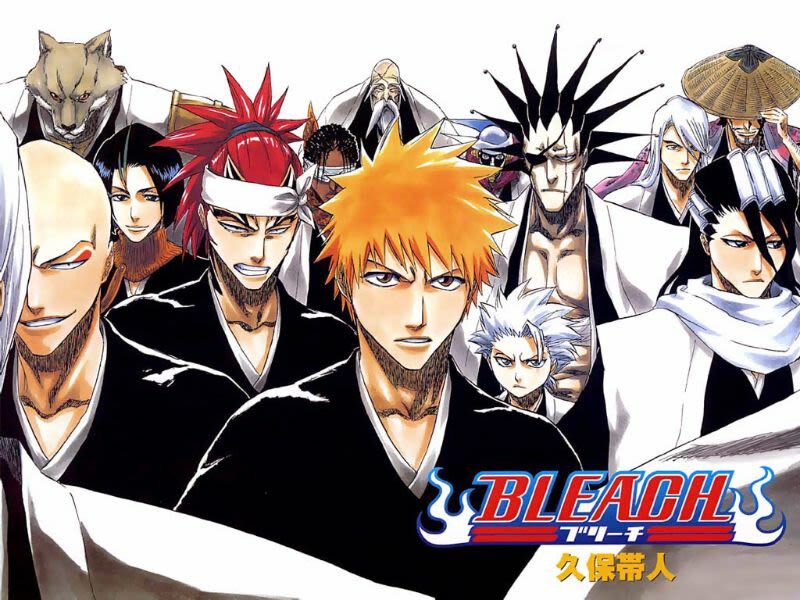 While it isn't as straightforward as "Dragon Ball", "BLEACH" is appropriate as a title because it showcases author Tite Kubo's talents as a storyteller, as well as how zany he can be. The layers he gives to various elements in BLEACH are evident in somethings as seemingly incongruous to the series as its name. I mean, it's BLEACH, the thing is littered with names - why would the show's name be the only thing that isn't thought through in that regard?